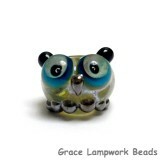 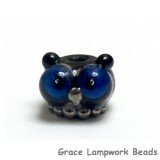 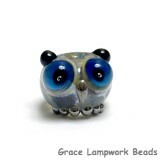 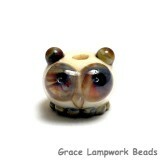 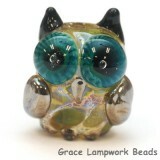 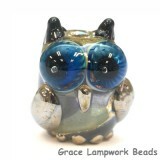 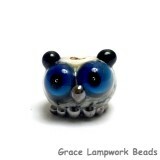 These owls are made of Murano and Raku glass. 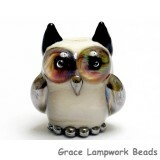 They are wrapped with sterling silver foil to give a more interesting shimmer result. 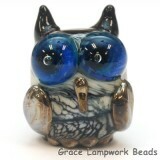 The eyes are the focal point, made of special custom made glass cane to give the fine detail. 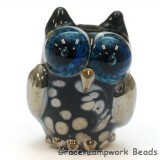 Same coloring/design all around.